Our intrepid Dubai-based travel writer has been busy sending PillartoPost.org snippets of her latest journies. This summer she's been in Nepal and Pakistan and just recently rolled into the Czech Republic. “It was a mad dash to the CR as this trip came up suddenly,” she said. 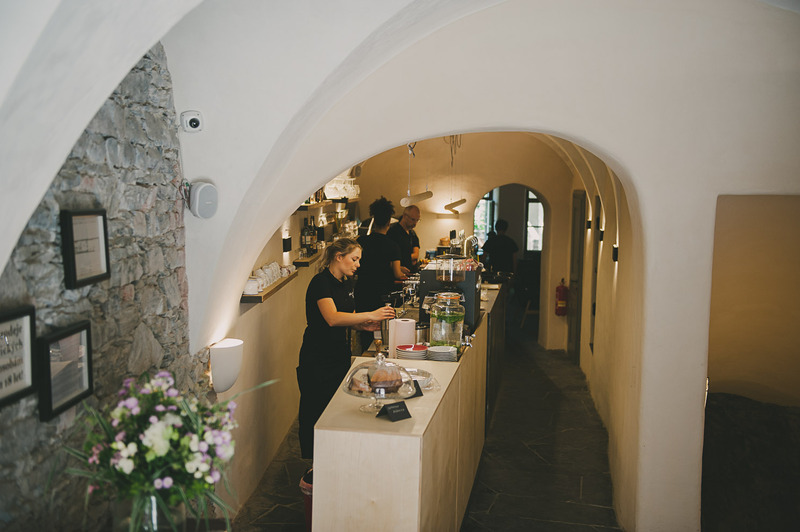 Among her stops, she visited the wine country in Moravia near the Austrian border, "I spent more time tasting excellent white wines in between visits to some amazing castles." 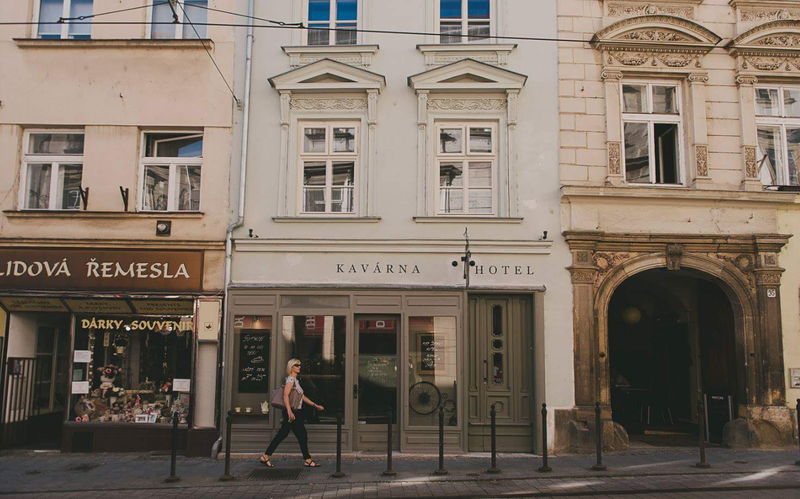 Today's post features a new boutique hotel and cafe that she discovered in Olomouc, a historic city in the heart of Moravia. 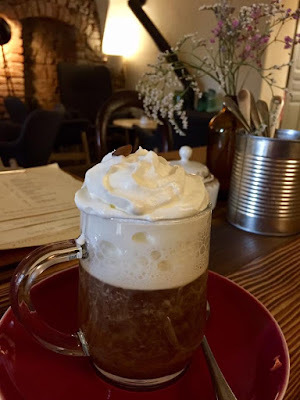 GUEST BLOG / By Leslie Cruse, PillartoPost.org Travel Editor, and in-house bon vivant. 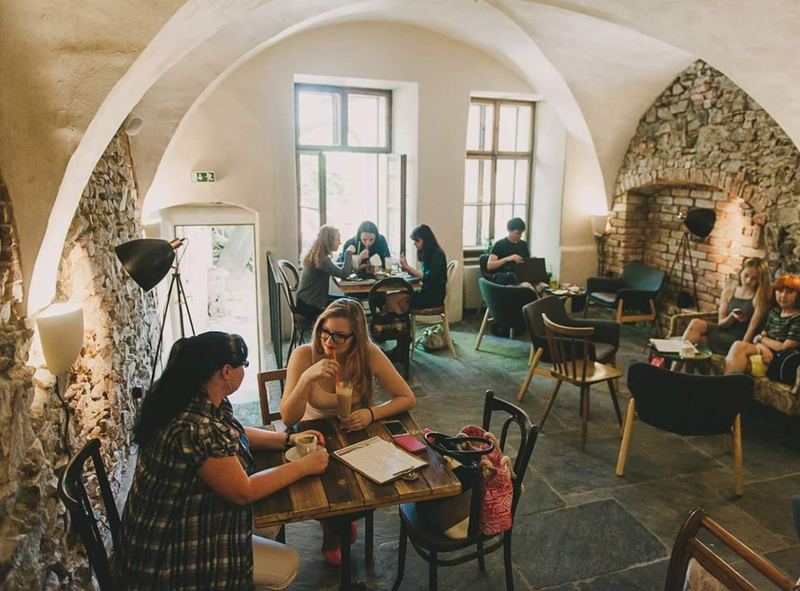 Sophie’s Café is the house bar/café for the small hotel at Denisova 33 street in Olomouc, 779 00, Czech Republic. This popular establishment is located near the UNESCO protected Holy Trinity Column. 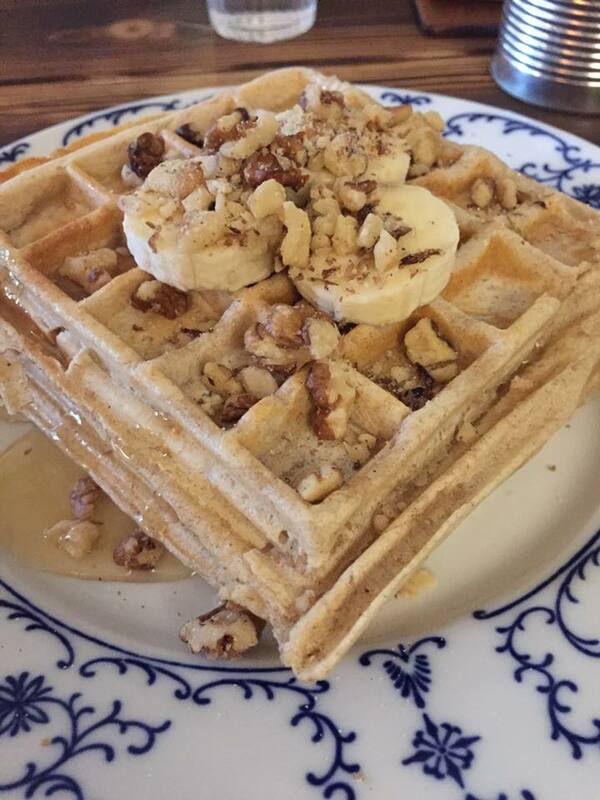 The food is wonderful and the architecture and décor ooze charm and it’s all priced right. It combines quaint with modern conveniences. 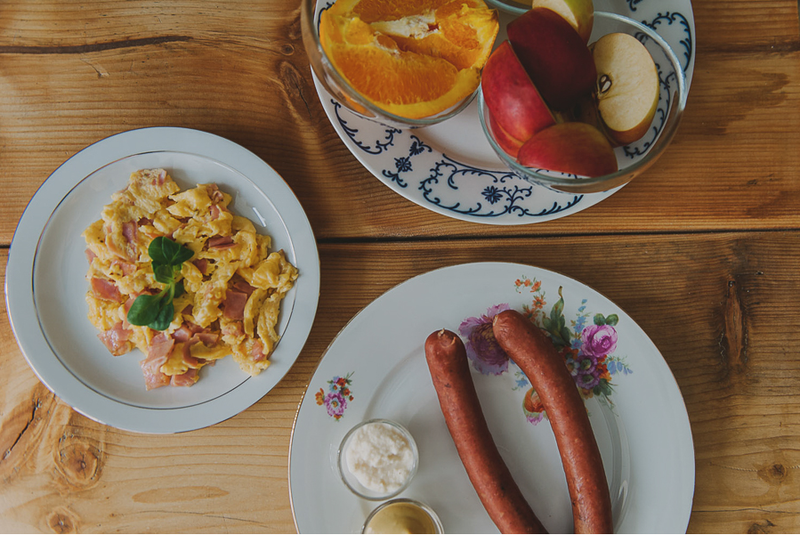 Breakfast is your best bet, which features Czech La Boheme coffee, awesome sausages, and local cheeses. Beer tourists should try Chomout, a regional brew. And, if you like (or want to try) stinky cheeses then you’ve come to the right city. Holy Trinity Column. Sophie's Cafe is on Denisova street (left) entering the plaza. Smart hoteliers grasp the idea that if you feed your guests well they'll come back and tell others. 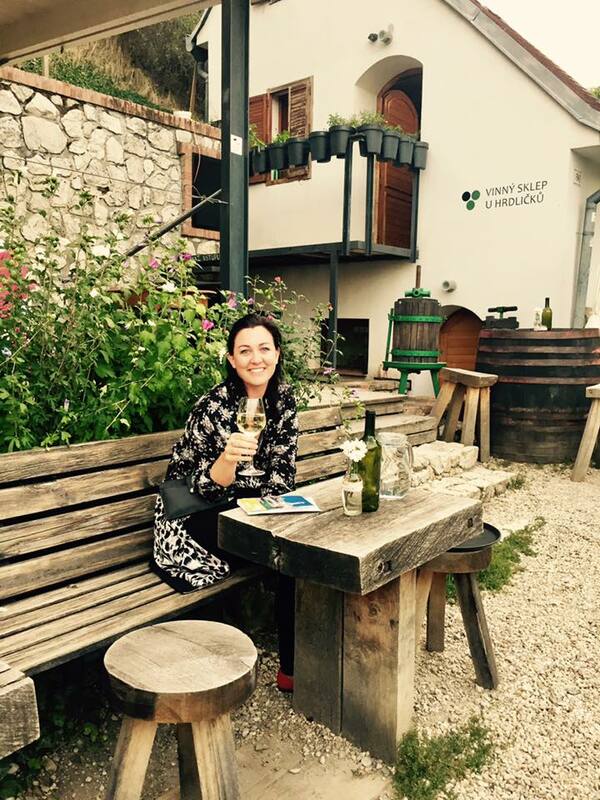 PillartoPost.org Travel Editor sampling the goods from one of the many local vineyards surrounding Mikulov in the southern part of the Czech Republic. 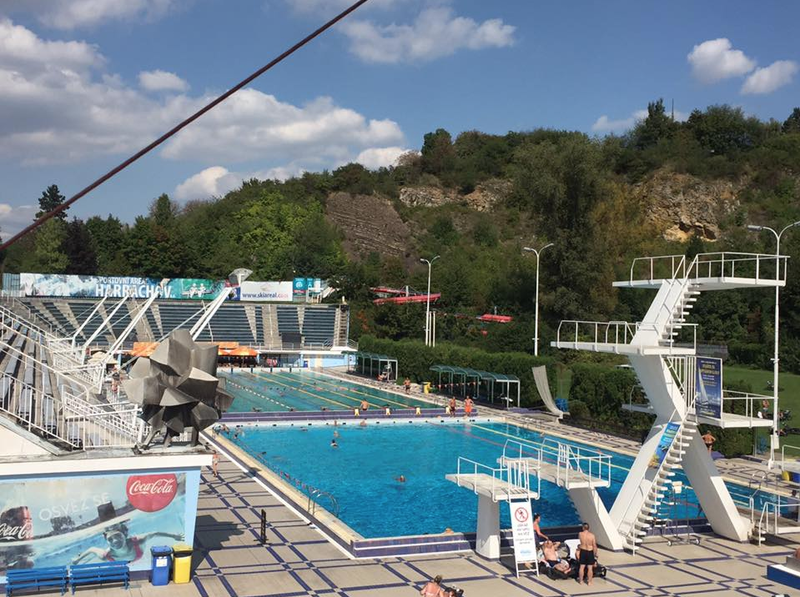 Water park in Prague. These were outdoors and 2 others were inside. This one from a winery in Mikulov with Holy Hill in the background.